I have made this book style wedding anniversary card for my husband. 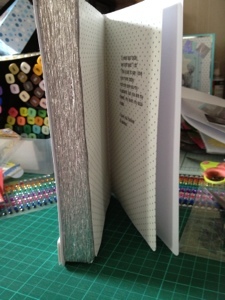 The book design is from 'Franki crafty touch Clark' then I used silver crepe paper to make it look like a book. Tatty bear decoupage. Flowers, gems and sentiments. This is gorgeous hun. 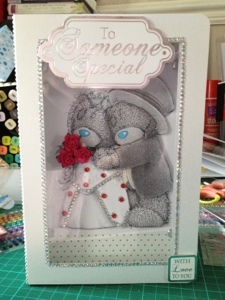 Loving the cute bears and the design of your card is fab. What a great idea to use crape paper to give the illusion of book page edges. The whole card is great. Fabulous project - he'l love it.